Notes: Frederik Rasmussen was incorrectly issued an in-game stop-and-go penalty for entering the pits over the 50mph speed limit. The Stewards reviewed the video evidence, including point-of-view footage from all drivers, and it was determined that Rasmussen slowed down to 47mph before applying the pit limiter and crossing the pit entry line. Thus it was confirmed that the in-game penalty was incorrectly applied. Frederik Rasmussen’s penalty was subsequently overturned. 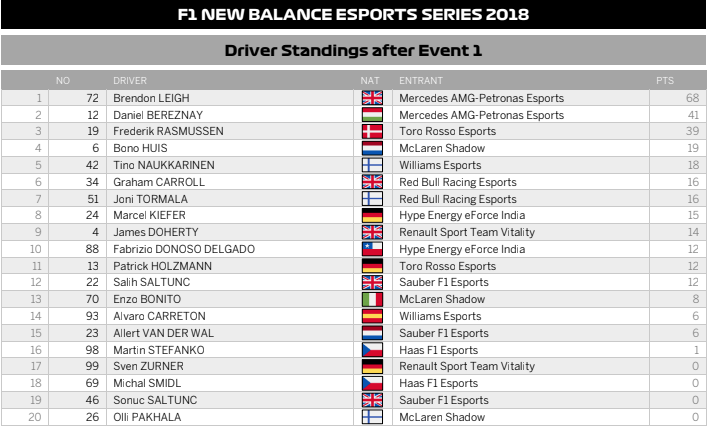 The timing data that was created by this issue was in addition incorrect and has since but adjusted accordingly to reflect the correct timings and final placements. 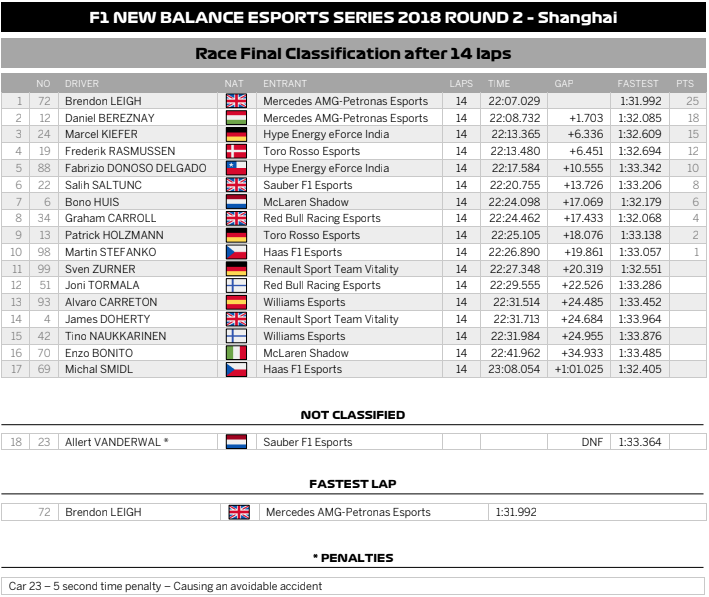 The F1 Esports Series Stewards have amended the “Race 2: Shanghai International Circuit” results and the Driver Standings accordingly.